Thank You For Supporting The St. Claude Food Truck Park! Jeffery Howard May 17, 2016 November 17, 2018 Comments Off on Thank You For Supporting The St. Claude Food Truck Park! Spruce Up Your Building — NORA Will Pay 75% Of The Costs! Jeffery Howard February 4, 2016 November 17, 2018 No Comments on Spruce Up Your Building — NORA Will Pay 75% Of The Costs! Pop-Up Retail Is Open Along St. Claude Ave.! Jeffery Howard December 12, 2015 November 17, 2018 Comments Off on Pop-Up Retail Is Open Along St. Claude Ave.! 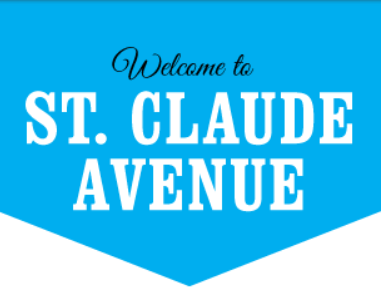 St. Claude Main Street is a 501(c)(3) nonprofit that promotes and supports an economically thriving and culturally rich crossroads of historic communities in New Orleans including the neighborhoods of St. Roch, Bunny Friend, St. Claude, Bywater, and the Faubourg Marigny.